Solo adventuring has all the physical and mental attributes of the hardest challenges I have completed but with that extra sweetness of knowing I completed it alone. It forces you to tap into unknown areas of yourself. It creates an environment where you can absorb every minute of your journey with a kind of clarity that you probably didn’t realise existed. It strips back the layers of a typical adventure you might share with friends and leaves only the core of your experience – which is ultimately how you choose to interact with nature, free of any external expectations. I am fully aware that to some of you, tackling an adventure on your own might sound like your idea of a nightmare. 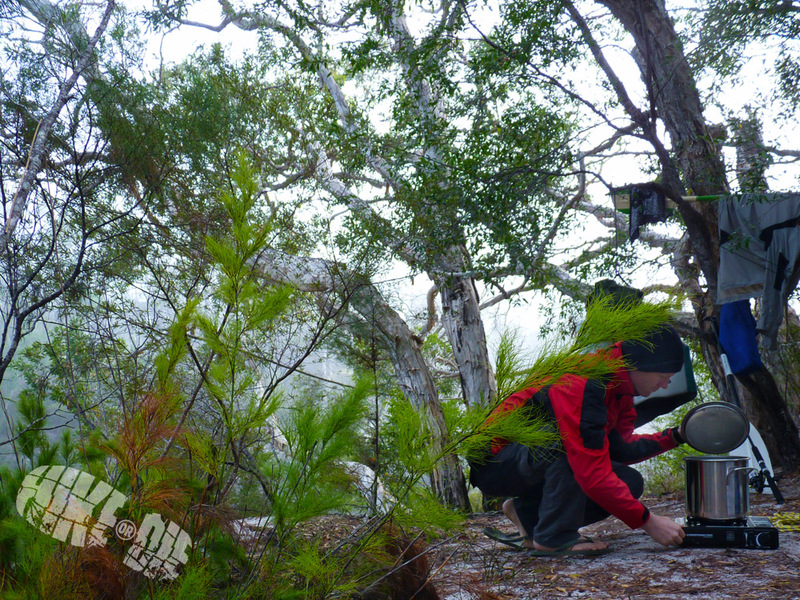 Let’s be honest, sometimes half the fun is sharing your outdoor experiences with others. So what if I told you that going solo could be one of the most self rewarding things you could ever do? Until a few years ago you couldn’t have convinced me to head out into the wilderness alone even on a half-day hike. Now I find it extremely rewarding, slightly addictive and I regularly head out alone on day hikes, multi-day hikes and multi-day canoe adventures. When you think about it, its like booking a ticket on a highly customised adventure completely catered for yours truly. If you’ve read this far, this topic has obviously sparked some interest within you. Well done! Now put aside your preconceptions and give me your attention for a few more minutes. You’ll be glad you did. I’ve hiked, canoed and travelled with many different people over the years and they’ve all had their own unique pace at which they travel through the wilderness. Personally, I like to take regular short breaks. It helps me remember to drink water, eat a snack, take photos and also means I get more intervals to check maps and equipment. In complete contrast to that, I’ve hiked with people who’s idea of a break is shoving a granola bar down their throat while they continue walking. 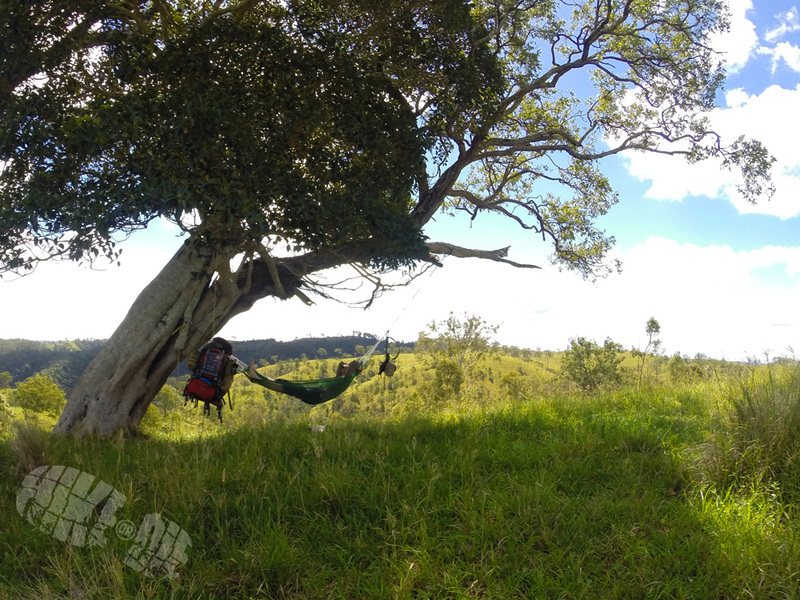 On a recent solo hike I filmed all morning, hiked for a couple of hours and then set up my hammock and enjoyed an afternoon nap in the sun. There is no way I could have had the same experience with somebody else around. Solo Hiking means you have more time for important things like this. There is so much more flexibility when you are travelling solo. Take a break when YOU want to take a break. Stop and take photos when YOU want to. Make camp when YOU want to make it. It’s all about you and what you want to achieve, so make the most of it. Although I’ve been fortunate enough to travel with like-minded hikers and canoeists who enjoy the serenity of the wilderness as much as myself, there is nothing quite like the enhanced peacefulness you encounter when alone. It can even be a little too quiet and unnerving at first but once you immerse yourself in your environment and allow yourself to experience it without interruption, I guarantee, it’s something very special. Think of it as the difference in clarity between watching a 3D movie in surround-sound at a cinema compared to watching the same movie on an old TV at home. I’ve seen, photographed and filmed some amazing wildlife when I’ve been alone. I can almost guarantee I would have either missed them completely or they would have fled long before I arrived had I been with others. Sometimes I just sit in the forest in complete silence, sip my coffee and watch the wildlife come alive again once they think I have left. On a recent solo 3-day hike I slid out of my hammock one morning rubbing my weary eyes and stretching my back to discover that behind me on the next ridge was a herd of Red Deer led by an enormous buck. Something I’ll never forget. Also, something that even a quiet conversation with a fellow hiker could have ruined. This begins right back at the trip-planning stage. 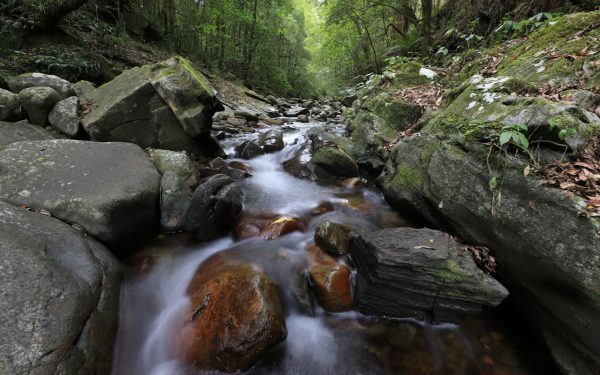 Sure, you can always ask for advice on suitable routes, gear, recommended campsites and weather conditions but ultimately, the final decision on how your trip is going to run falls squarely onto your own shoulders. What you choose to pack is also based on your own decisions and preferences. Preparing breakfast on the first morning of my solo canoe trip. Click here to watch the video. The most anxiety I’ve felt whilst travelling alone in the wilderness is when making decisions based around how far to travel on a given day, when and where to set up camp and in what order to take care of critical chores like erecting shelter, filtering water and preparing meals. It might sound trivial and I don’t expect you to fully understand without having experienced it yourself, but when you think about it, all of those significant decisions are always discussed with your companion. Together you make educated assessments based on pros and cons that you both bring to the discussion and from there make a decision that suits both parties. Take away that sounding board and suddenly everything is up to you. It may sound scary but can actually be exhilarating. The feeling of having confidence in your own decisions (right or wrong) comes from repetition and trusting your own judgement. Given time, it’s quite a fulfilling feeling running your own show and calling all the shots. I know this one might sound a little odd but I promise I’m not going to get all philosophical on you. It is by far one of the greatest things that I’ve taken away from travelling solo, possibly because it was also the most unexpected. We all rely so heavily on external stimulus and electronic connection in our day-to-day life. Television, radio, email, social media and music. Whether you realise it or not, all of those mediums are in a sense acting as faux-company to you. If you’ve ever turned on the TV or radio when you’re alone just for ‘company’ then you know exactly what I mean. Because of the accessibility of technology in our modern lives we never really truly disconnect from each other and it stems from the habitual human behaviour to crave attention and constantly feel the need to have company. If you don’t make a conscious effort to disconnect from others (in a positive way) you can never truly understand who you are as an individual or what you are capable of. I truly believe that time spent in the outdoors and away from other humans is time well spent and I don’t mean that in an antisocial way. It allows you to discover things about yourself that you can’t ordinarily do in a shared environment. The wilderness has a way of bringing out the best in you, but you can’t get the best out of the wilderness when you’re out hiking with a buddy or canoeing with a few mates. It’s the isolation (and lack of cell phone coverage) that allows you to truly take stock of who you are and what you are capable of. You might even find out that you can be a pretty interesting person even without access to your Twitter account. In an era where so many people lack confidence and willpower in their day-to-day lives, I can guarantee you this, at the very least a solid first step to finding your own identity. 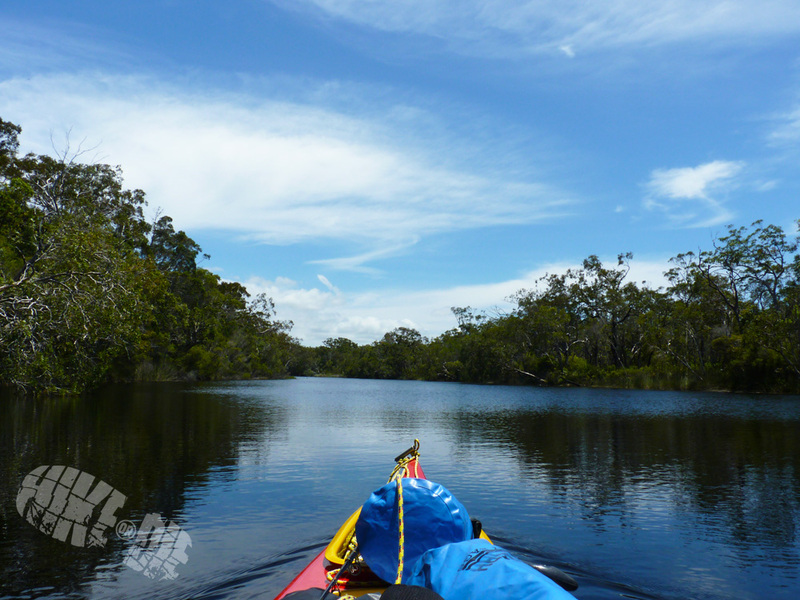 Canoeing through the Noosa Everglades on my very first solo adventure. Click here to watch the full video. When I came back from my first solo adventure, a 3 day, 80km (50 mile) canoe journey down an uninhabited river, I had mixed emotions. My initial feelings were that I had ticked that challenge off my list and there was no reason to attempt anything similar in the future. After the dust settled and I’d had a few weeks to reflect, I was able to look back on my experience in a different light, take stock of what I had achieved and see the lessons I had learned that weren’t so obvious at the time. When I think about it now, if I’d never set foot on another solo adventure again I’d have missed out on so many more valuable lessons. It’s just that they don’t all reveal themselves immediately after your first solo outdoors excursion. You have to work for them. But once you start noticing them, they really have a positive effect on you. The confidence I gain from hiking solo carries through into all other aspects of my life. I have actually said to myself in difficult work situations: “If you can survive alone in the wilderness for three days, you can handle this”. It made me realise I had inadvertently created a new set of personal boundaries far beyond what were previously there. It showed me that I was probably capable of a lot more in all other areas of my life if I chose to aim higher and push harder. It is my hope that having read this article you will now be inspired to seriously consider planning your own solo adventure. You quite possibly already spend a lot of time outdoors but solo adventures require different skills, different planning and above all, a different mindset. Start small, plan thoroughly, develop your skills and your confidence will grow accordingly. 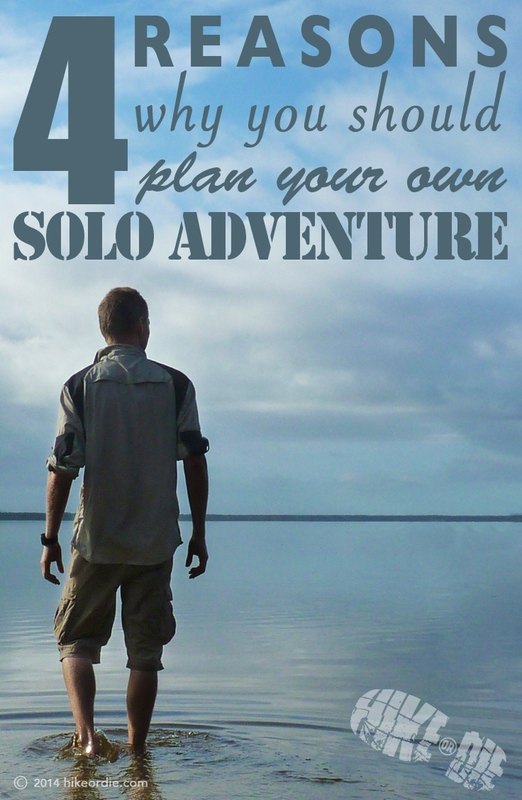 I also realise that you’re going to need more than inspiration alone to complete a successful journey so I have already begun writing my next article: How to plan your own Solo Adventure. This upcoming article will cover 5 key points that will help make your adventure successful, enjoyable and safe. I’ll provide you with ideas, information and advice drawn from my own solo hiking and canoeing experiences and I will feel more confident that I am leaving you with a solid foundation to create a successful solo adventure. So get excited, start coming up with some ideas and get ready for some quality time, alone in the outdoors. Disclaimer: The above article was written as an informative guide to highlight the benefits of travelling alone. It is not a “how to” guide. All information is based on the opinions and experiences of the author. Any person considering undertaking a trip of this kind (or similar) should of course seek professional guidance, work only within their skill level and travel with adequate equipment. 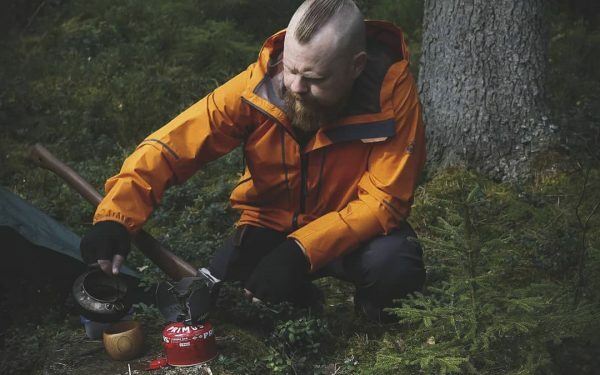 Hikeordie.com or the author take no responsibility for any personal or incidental harm that may occur as a result of acting on any information contained within this article, associated videos or this website.